(Photo Description) Jim Salestrom performs with Dolly Parton. 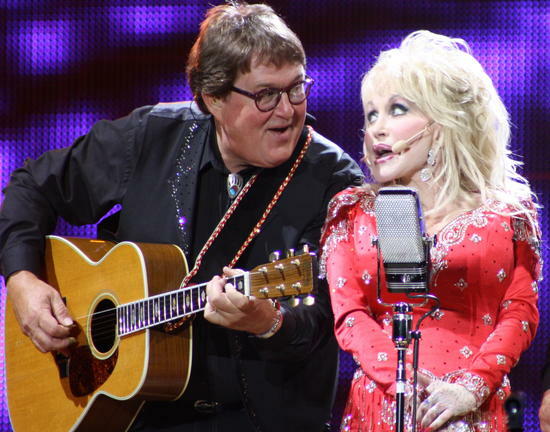 The album was recorded at the legendary Sound Kitchen Studios in Nashville, with Dolly Parton's band and Dolly's producer, Kent Wells. Recorded live at the Sound Kitchen Studios in Nashville in front of an audience of die-hard fans, Kellie Pickler kicks off the first Ram Country Live! concert series with this upbeat song from her latest album! Watch now!